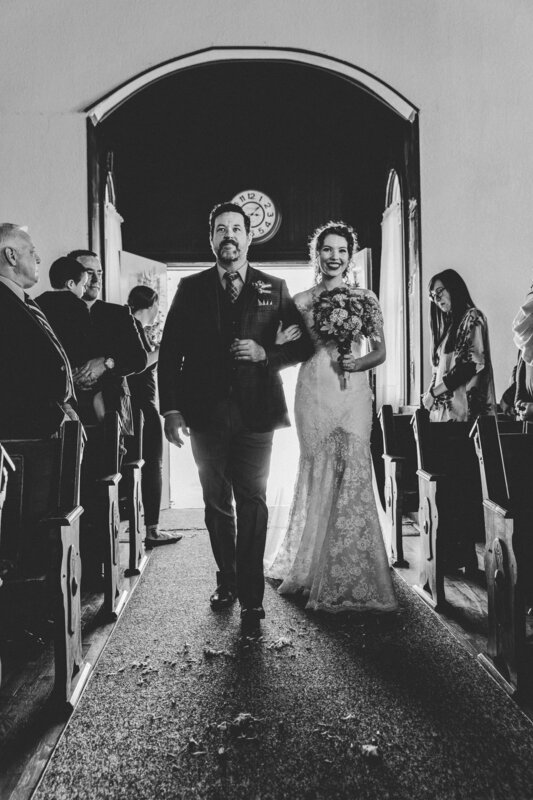 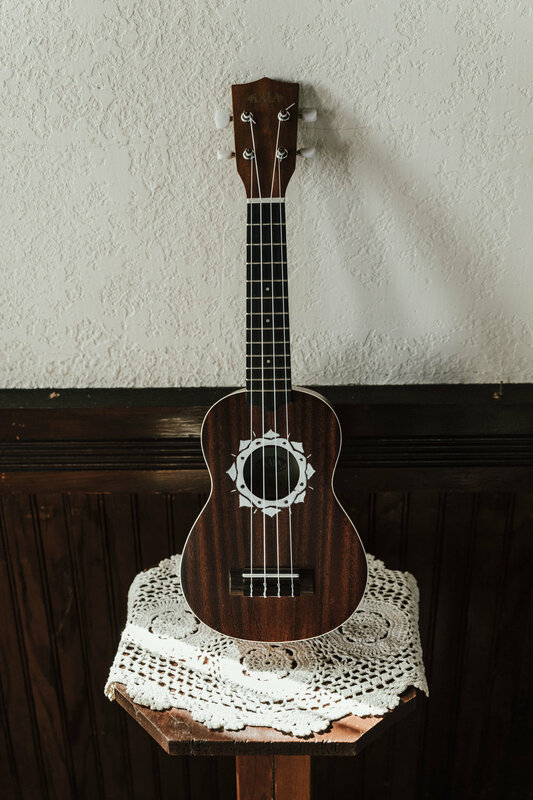 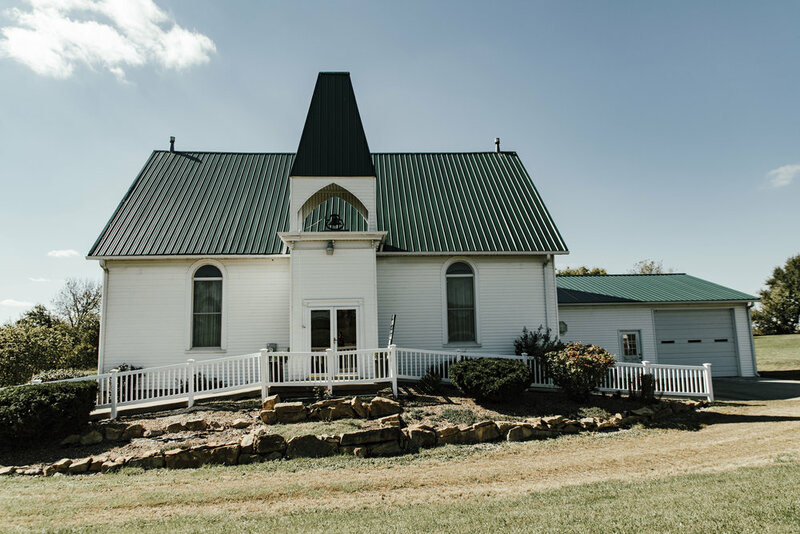 Rebekkah & Grabriel’s wedding day was filled with so many beautiful moments; from the glowing light that poured through the windows of the little country church, to the live music that echoed throughout the courtyard of their reception venue. 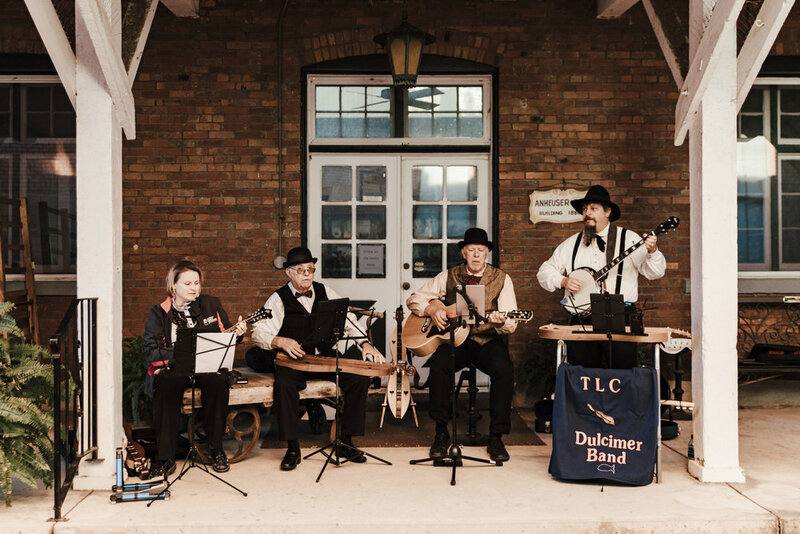 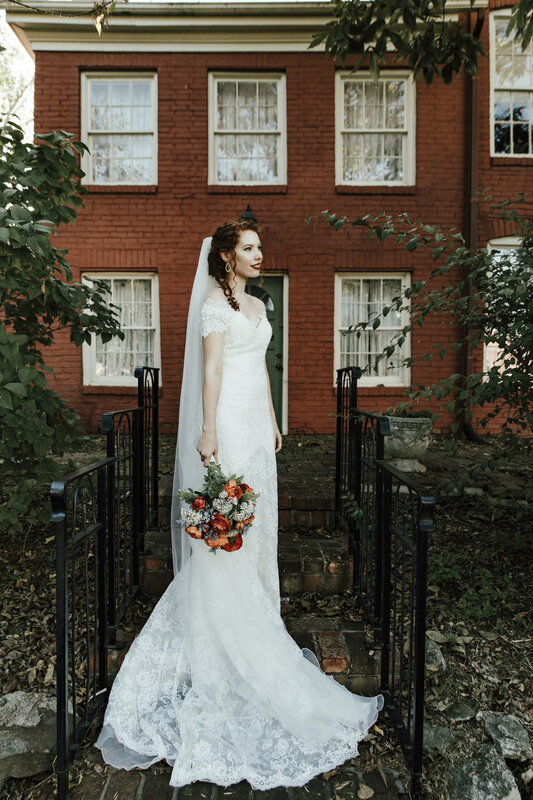 This wedding was filled with a nostalgic charm of eras past. 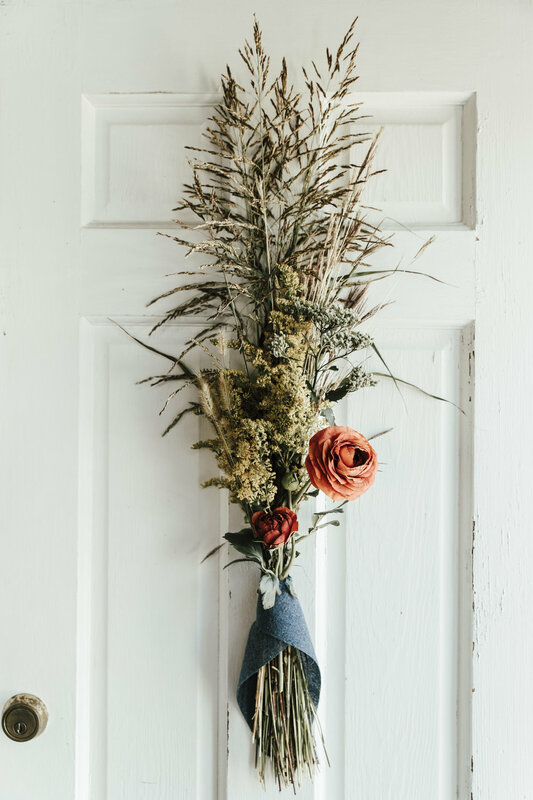 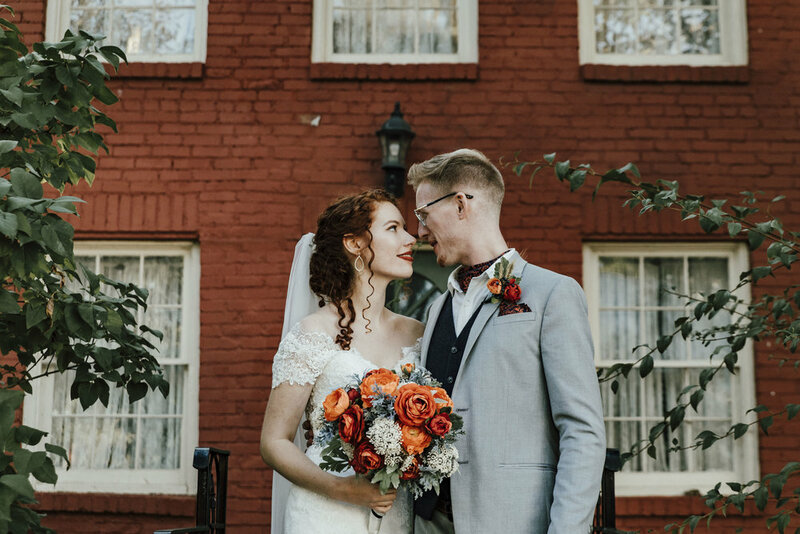 Inspired by the simplicity of their grandparent’s weddings they wished to capture a “homespun elegance” when planning their day. 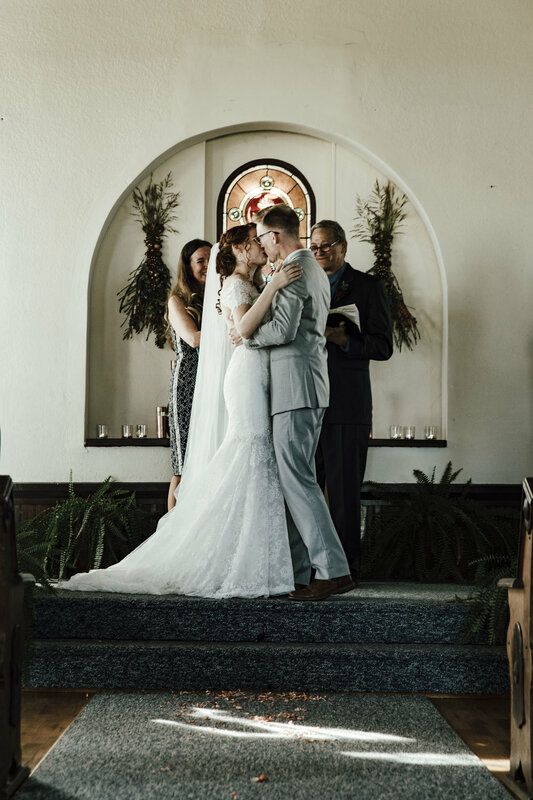 (Their words not mine.) 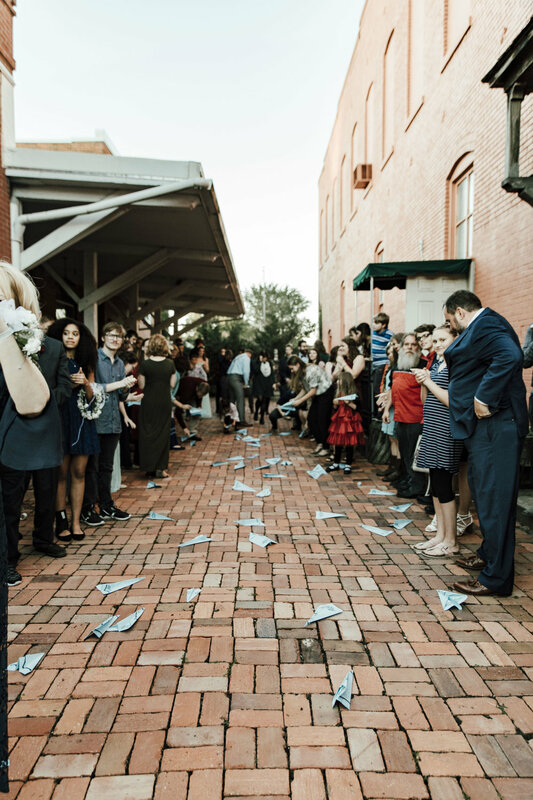 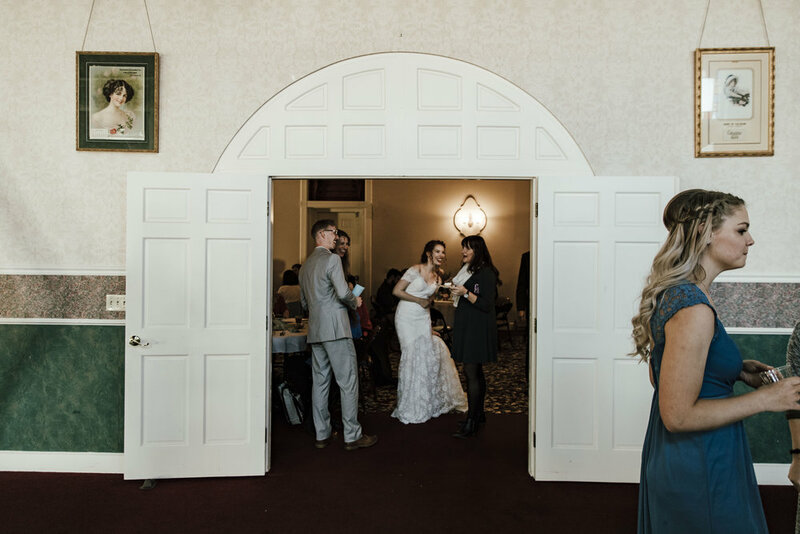 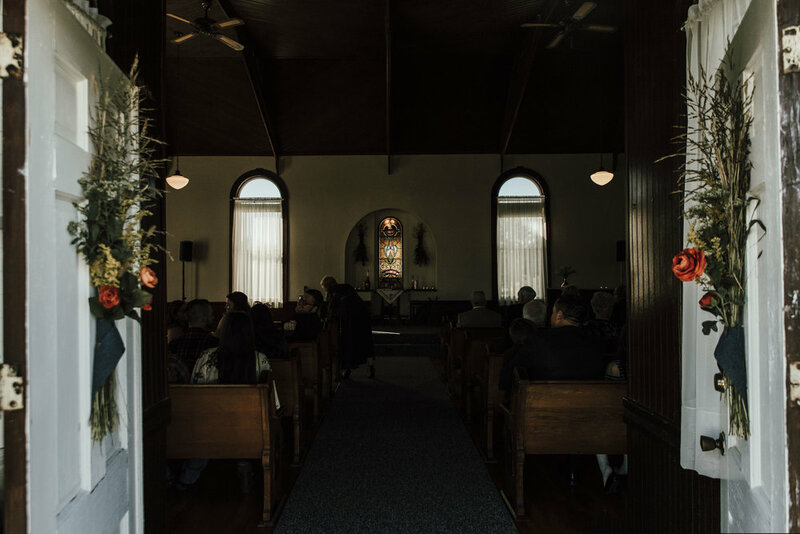 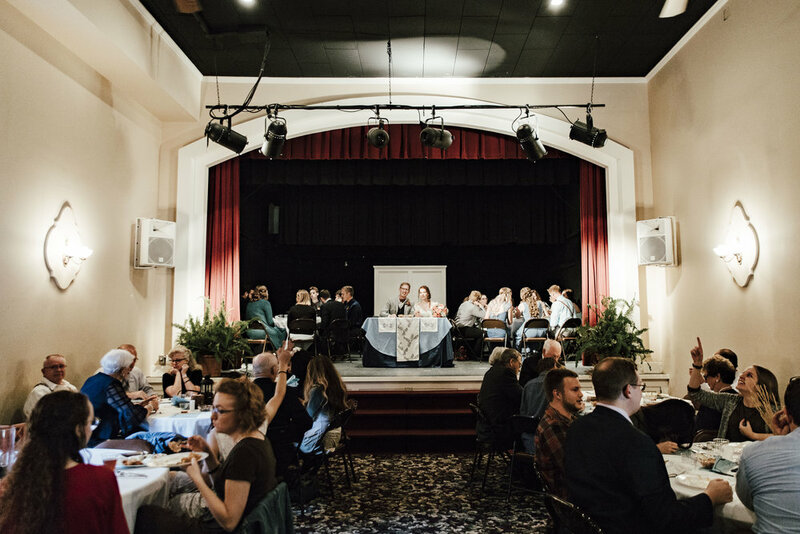 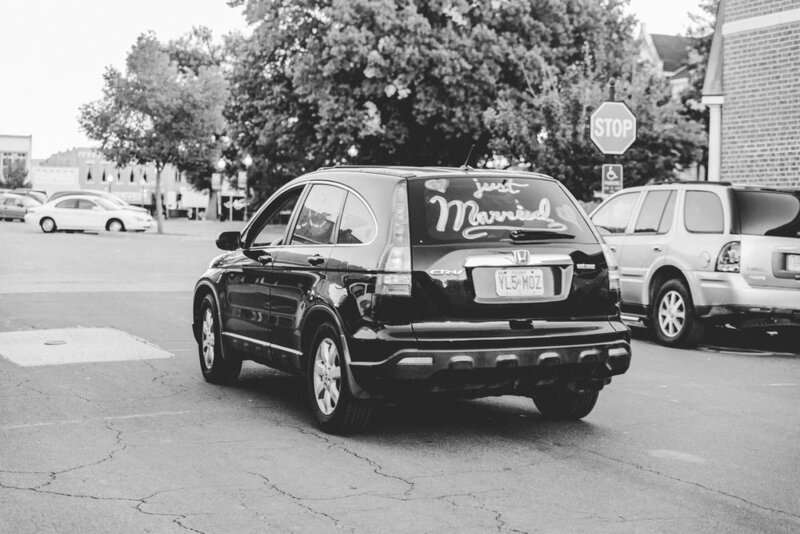 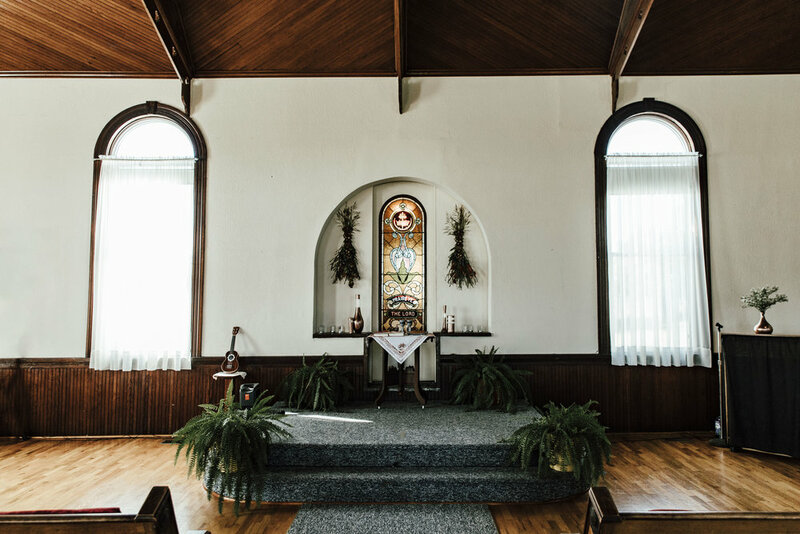 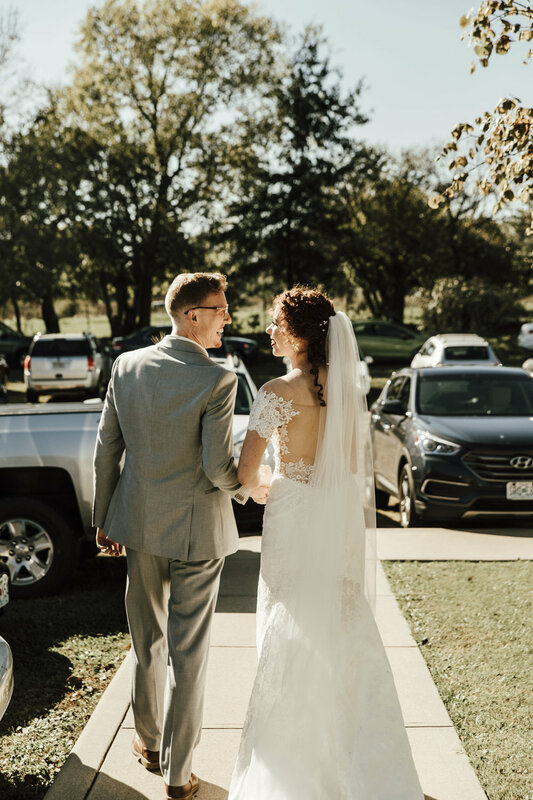 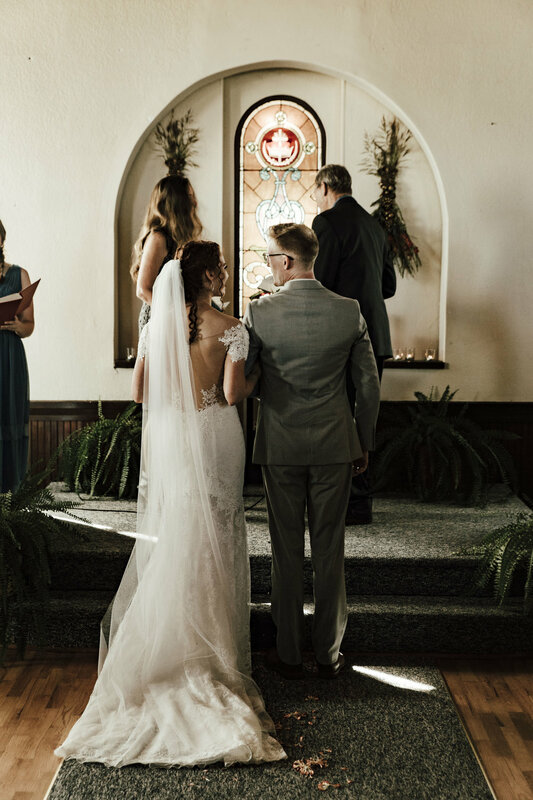 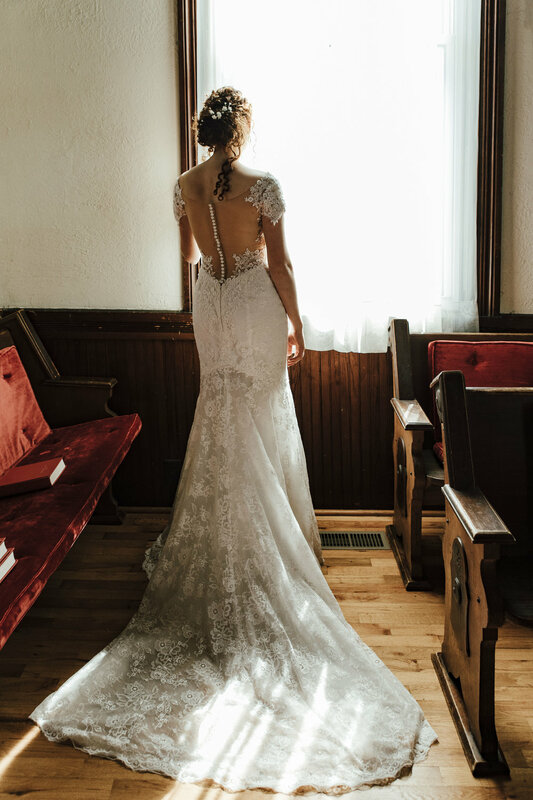 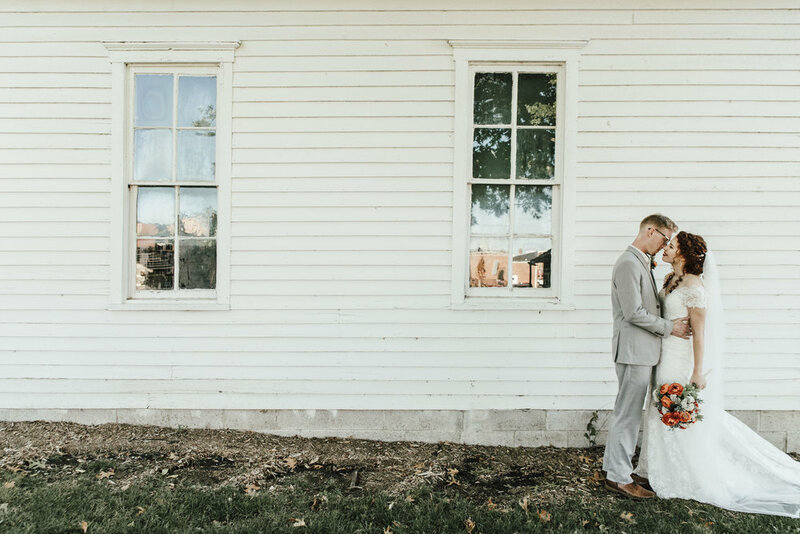 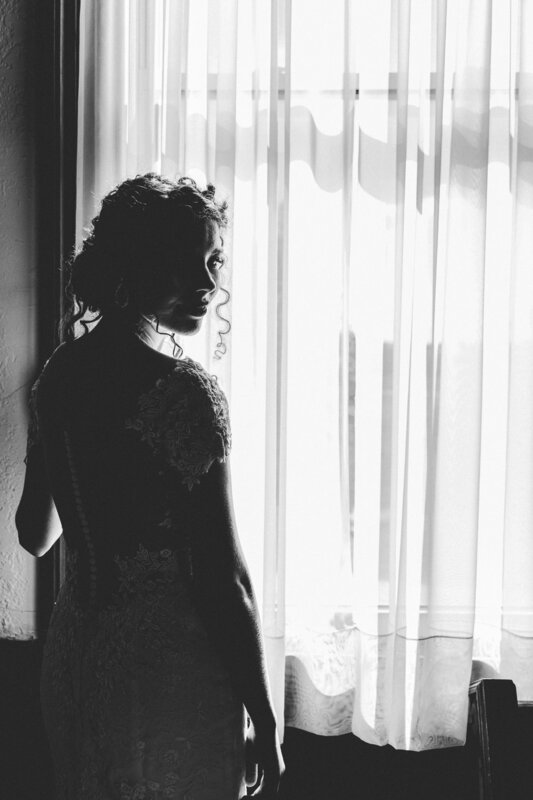 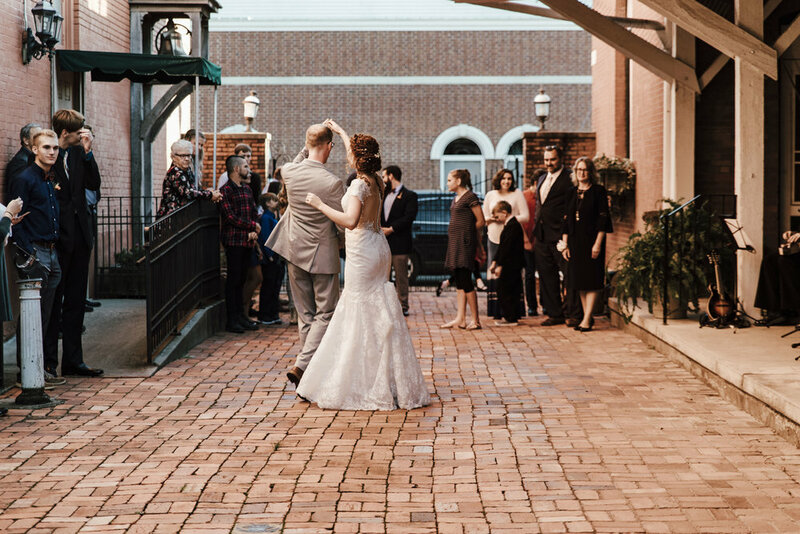 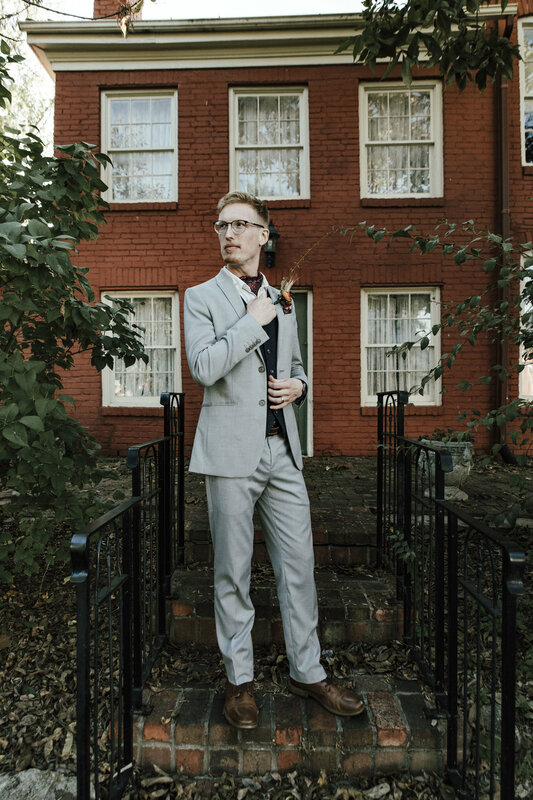 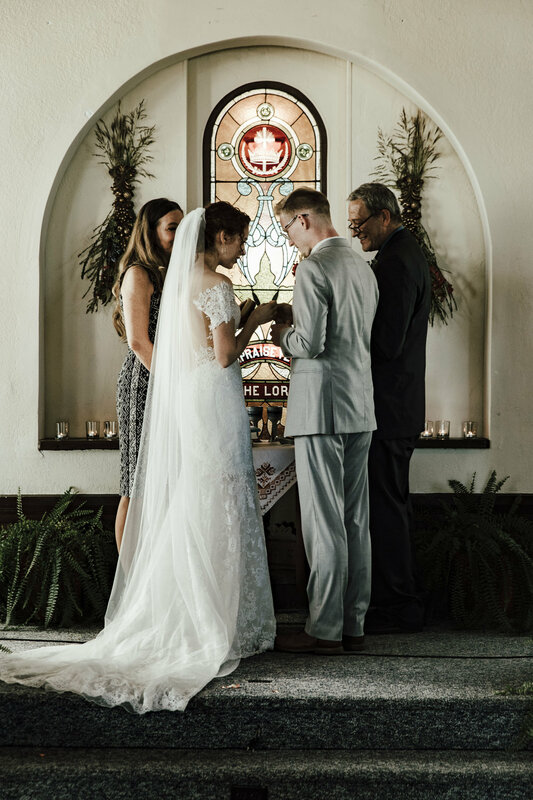 The ceremony, portrait and reception locations were all historic and scattered throughout rural Missouri and into an old downtown of a close community. 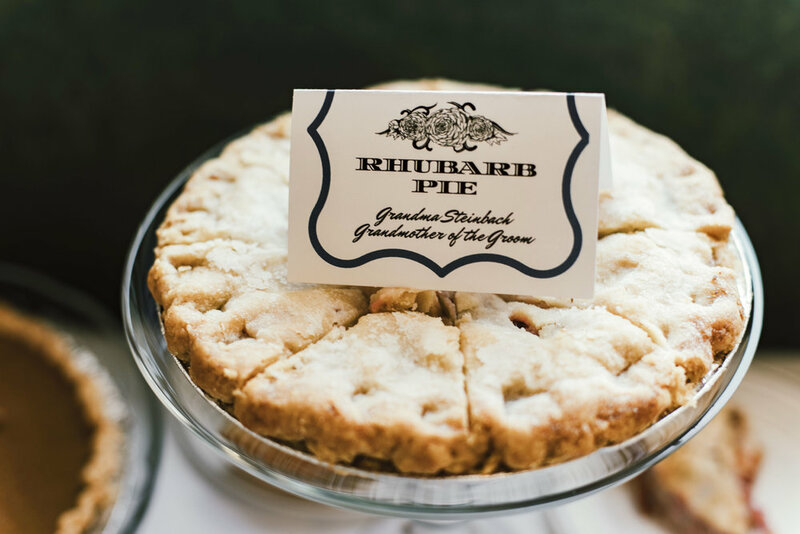 The couple opted for home made pies over wedding cake, which their parents served to them upon their arrival to the reception. 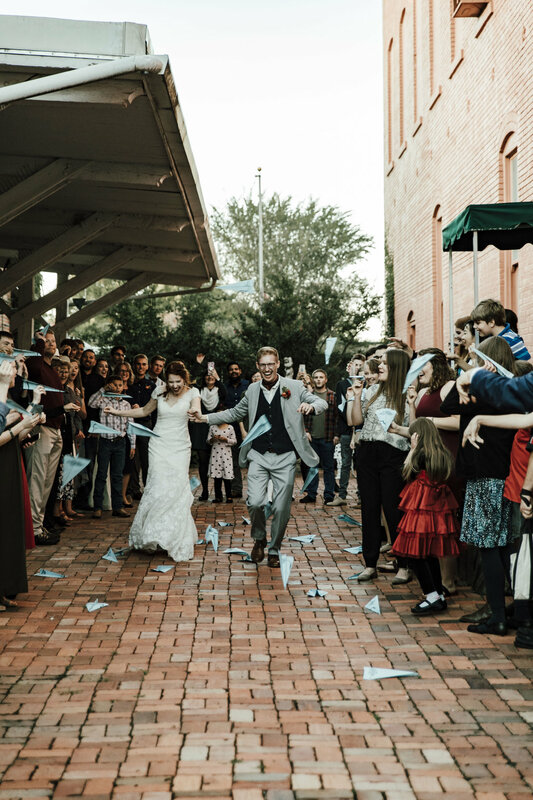 They also arranged for one of the most beautiful grand exits I’ve witnessed. 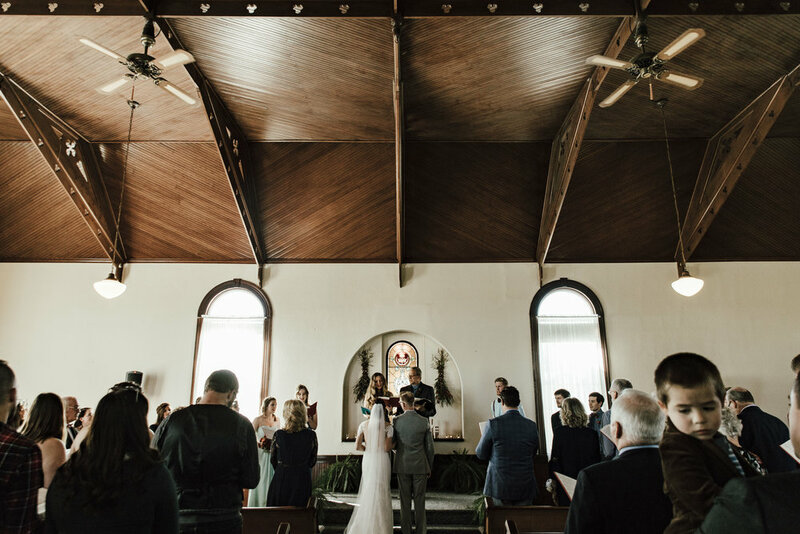 That you can see for yourself below. 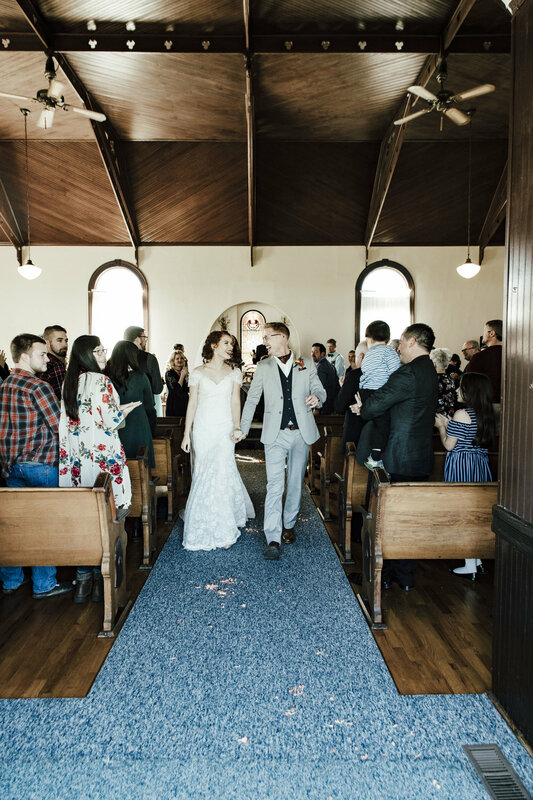 The entire day felt like a Grandma Moses painting; a simple scene set within idyllic countryside and quaint small towns, but at closer examination a intricate orchestration of historical and personal relevance. 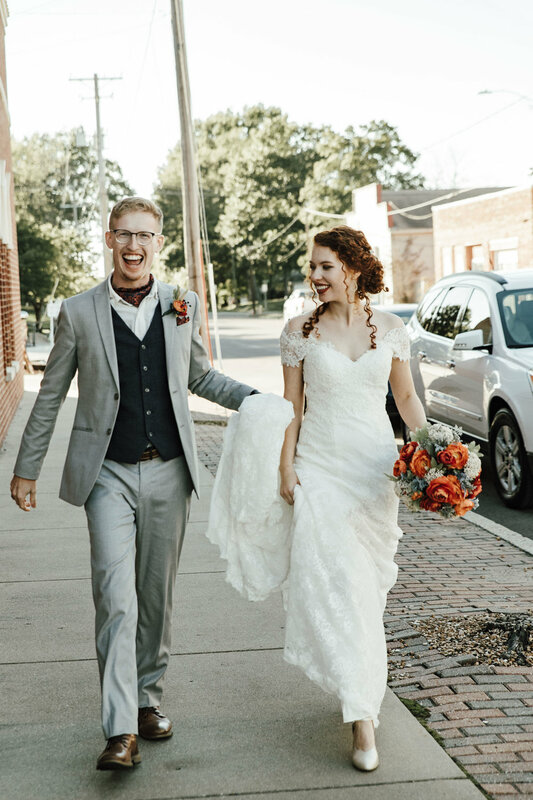 Much like their whimsical and poetic personalities, this wedding shown with an individual charm unlike any I’ve experienced.